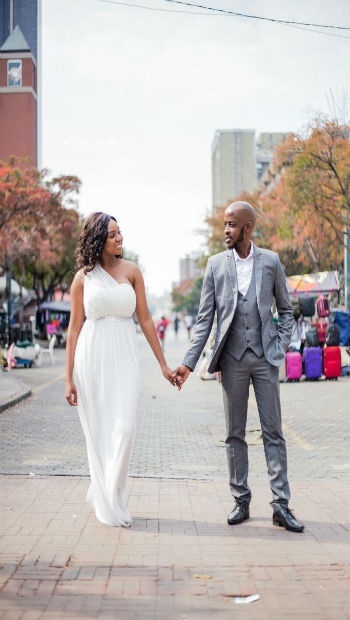 YOU'RE READING "I got married at 21 – and I wouldn’t change a thing"
Talama Matsepe tied the knot at an age that was considered too young. 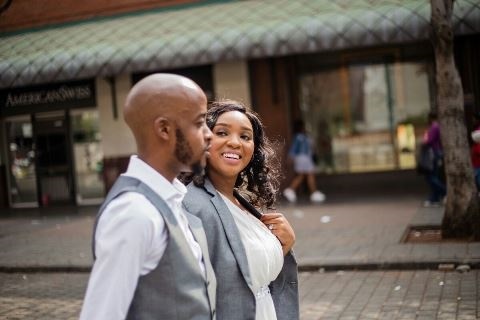 She shares the story of what it took for her to build a happy marriage. Ever since I was a little girl I dreamt about getting married, falling in love with the man of my dreams and experiencing my happily ever after. I failed to understand the concept of two people dating for years merely because they are just into each other. I believed that if two people love each other and are ready to make that commitment then they should get married. My belief has always been that one should date with the intention to marry. So with that said, love found me and I was ready to make that commitment at 21. I was still a teenager when my husband and I started dating. I was very blessed to find a man who shared the same values as I did. My husband made his intentions very clear to me before we formally started dating – he wanted to get married. After two years we knew that we were meant to be together. My husband enjoys playing pranks on me. On my 19th birthday he took me out for dinner and decided to pop the question. I had tears running down my face when he said he was just joking. The following year he did the same thing and proposed on my birthday and I thought, “here we go again” but this time it was real. He was on one knee, with the most beautiful ring I had ever seen. I did not have to think twice – I said yes! 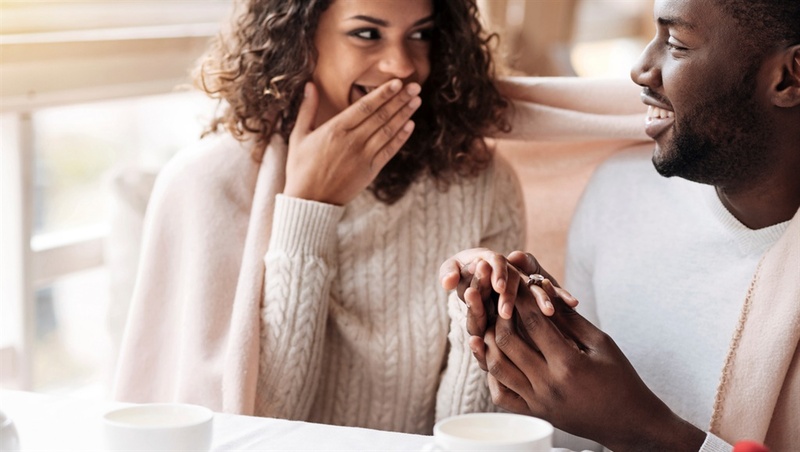 READ MORE: New engagement ring trend: Diamond finger piercings! Have you ever had that feeling that without a doubt, you are making the right decision? At the moment I never thought about my age or what people would say. It was just him and I, and that for me made sense. I remember my mom deciding what my wedding colours should be, which bridesmaids I should choose and who should be on the guest list. Being a young bride came with its challenges. 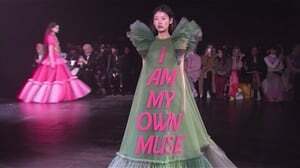 I found myself having to explain myself to everyone. Even things like what the wedding of my dreams meant to me. I remember my mom deciding what my wedding colours should be, which bridesmaids I should choose and who should be on the guest list. I had to explain to her that it was my decision to make along with what my husband wanted. It is important to establish people’s roles in the wedding. I’m fortunate to have had people around me that fulfilled theirs. After the wedding, my husband and I moved into a beautiful apartment with just a bed and a fridge. I was still in university at the time so he had to organise and pay for everything. “When are you buying furniture?" The best thing we did for ourselves was not let the pressure get to us. We saved up and bought whatever we needed cash and not credit. We aim to cover the key aspects of marriage such as communication, finance, partnership, ministry, romance and the family unit. My husband and I have been married for six years and in that time we decided to write a book called Power Couple: Unleashing The Power Within. With this book, we want to answer their questions and help equip as well as empower couples with the foundation truths about marriage through scripture. We also want to cover the key aspects of marriage such as communication, finance, partnership, ministry, romance and the family unit. 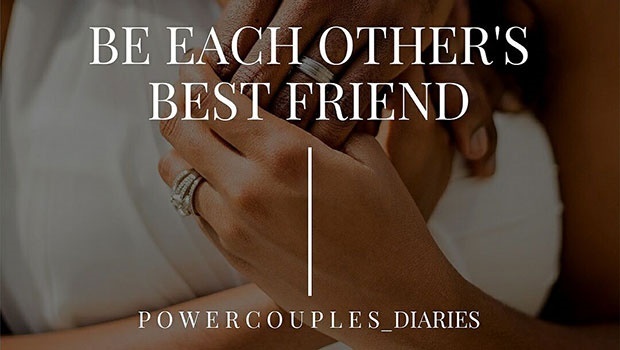 We also have online platforms called Power Couple Diaries where other couples can share their experiences with newlyweds and recently engaged couples. I can say that the whole idea of marriage was not initially scary. The one thing I was nervous about was whether he would change completely. Six years down the line he is still the same person. I'm also gaining an understanding of what it means to love wholeheartedly, how to stay committed and how to forgive completely. These are things I do not believe I would have learned if we had just been dating casually.